"Shorts Program 8: Meditations (Experimental)"
With any film festival, there's the long and the short of it. More specifically, there are narrative and documentary features, which comprise the bulk of most major festivals, and then there are the short films, officially defined by the Academy of Motion Picture Arts and Sciences as "an original motion picture that has a running time of 40 minutes or less, including all credits." Often overlooked for bigger stars, larger budgets, and longer running times, short films nevertheless embody the philosophy of any good film festival, which is to revel in the thrill of discovery and, more importantly, the opportunity to take risks with the medium. We've covered the long of it, so what about those shorts? 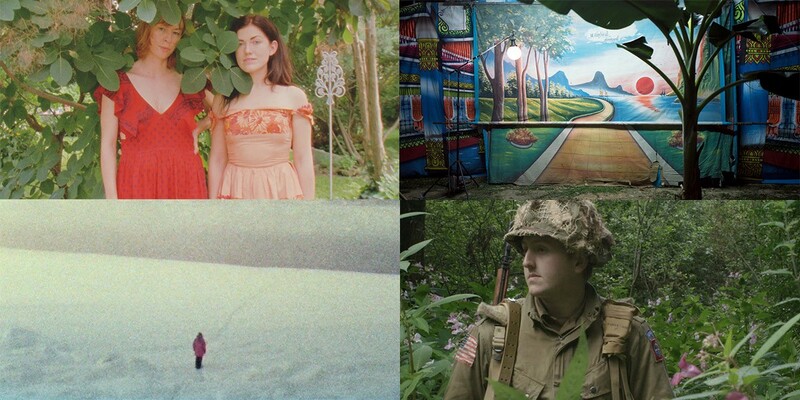 I spoke with Sam Flancher, the short film programmer at the Chicago International Film Festival, about this year’s shorts programs, of which there are eight in total, ranging from documentaries to a new experimental series. Flancher graduated from Columbia College Chicago and has been with the festival since 2012, when he started as a volunteer; he started programming the shorts in 2016. What do you think of short films in general, as a sort of genre in and of themselves? I think there’s limitless potential with the short format. People have fewer expectations about what short films should be or how they should work, so I think shorts tend to be free from a lot of the constraints that can bog down feature-length films. When they're at their best, short films are under less pressure to create a saleable product (it’s really hard to make money with a short film), so that allows filmmakers to take risks they might not have if they were under pressure from investors or moneyed interests that were trying to see some return on their investment. The result is a lot of experimentation and risk taking that's unique to short films—there's more room to challenge your audience. What is the process by which the short films are selected and then curated into programs? We receive around 3,500 submissions to our open call for entries every year, so most of the films selected for the festival are curated from that list. I’ve got an incredible staff of volunteer pre-screeners that help me review all of those films to find works that we'd like to bring to Chicago. I usually start by just compiling a big database of all the quality work that gets submitted regardless of which specific category it might fit into. Once that list starts to get to a few hundred films, we start to hone them down and consider what films might fit well together, and we build our programs from there. What's CIFF's overall strategy with short films? Each festival seems to have its own perspective on the art form. We try to do a few different things with the short film program. The festival takes pride in its history of discovery, so we're looking to identify filmmakers and perspectives in the short film program who we want to hear from again. It's often happened that alumni of the shorts program will return to the festival with a feature film should that be where their career takes them, so part of it is building relationships with artists whose future work you're excited to see. We also try to make sure there’s a broad range of perspectives and styles in the program. An individual shorts program is a great opportunity to encourage audiences to engage with different varieties of work. I like it when people come up to me after screenings to tell me that they loved one of the shorts but hated another. When that happens I feel like I've done my job well. I really think there's something in each program for everyone, but it's impossible to think that someone will like all the films. That's the best thing about going to see a short film program—if you don't like what’s on screen you know it'll be over soon and there’ll be another film up there in a few minutes. What might festivalgoers be able to expect from this year's shorts programs that they haven't seen in years past? We're doing a few new things with the program this year. First, in line with a festival sidebar, we're doing a program dedicated to comedic shorts. That's different from past years because the comedies are typically peppered throughout all eight programs, and this year there's a concentration of them into one block. It's got a pretty wide range of types of comedy—there’s dialogue-driven star vehicles and nearly silent slapstick romps—so I'm excited to be in the theater for that one to see how the audience responds. There are some oddballs in there. The experimental program is also new. I’ve wanted to put something like this together for a really long time. My personal taste tends to be on the experimental side in general, so in past years I'd been including non-traditional work in the other programs. I think we realized that there's a robust community of cinephiles in the city who want to see challenging, non-traditional work on the big screen, and there’s room for the festival to engage with them in a more meaningful way this year and going forward. After seeing Melika Bass's Creature Companion and Deborah Stratman's Optimism, I knew we'd be able to build something around these two dreamy, if incredibly different, works by Chicago filmmakers. The two other films in the program, Apichatpong Weerasethakul's Blue and Isabelle Tollenaere's The Remembered Film, are also both excellent and doing something similar with the way they handle their explorations of narrative and time. After the screening we’ll be doing an extended discussion with Melika and Deborah that will give the audience some really good context and insight into what they’ve just seen. I've been a fan of both for a long time, so I still can't believe we get to put on this event. It's a dream come true. What are your favorite shorts from this year's festival? What can't be missed? Well, I think they’re all good and worth taking a look at! I'll try to choose some standouts though. I think the experimental program is really strong and would recommend everyone see that. In the short documentary program ("Shorts Program 4: In Real Life") there’s a film called Tourneur by Yalda Afsah that has been in my head since the moment I saw it—it's an observational doc about this strange bullfight in the south of France where they pump tons of foam into the rings with the bull and then kind of dance around it in an attempt to agitate it. It ends up being this meditation on spectacle and absurdity as the bull and these young men wander in and out of the foam. It's incredible and is a standout among a program of really strong docs. I also think the block of animated shorts ("Shorts Program 2: Outside the Lines") is particularly strong. There’s a film in there called Solar Walk that was one of the first films I sent an invitation to this year. 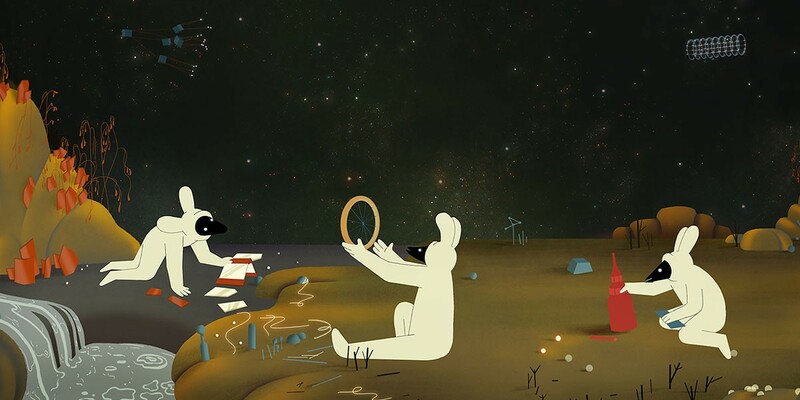 It’s a beautiful mixture of hand-drawn and 3D animation and follows these two intergalactic travelers as they meander in and out of surreal landscapes. The structure finds images and set pieces just kind of bleeding into one another, and it makes for a really pleasant, beautiful visual experience once you realize that you don’t need to try to hard to understand a story or characters. One final one I’d like to mention is in a program of more traditional narrative dramas ("Shorts Program 5: Searchers") called L’été et Tout le Reste (which translates to "Summer and all the rest"). 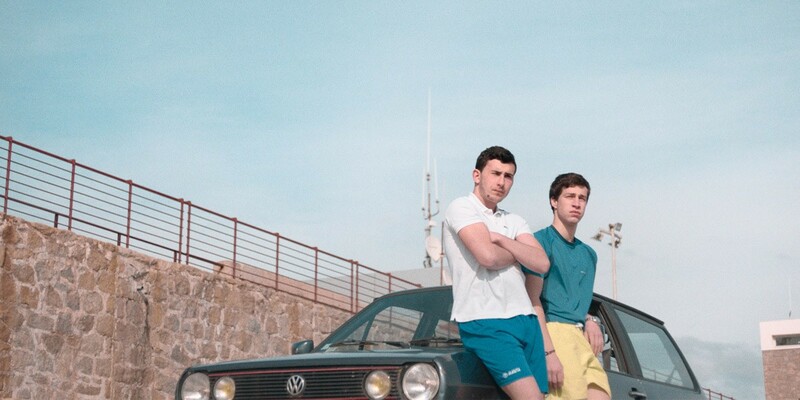 It's about two friends wrapping up their time working on Corsica, a vacation island. The guests have left, and they’re dreaming of their lives back on the mainland when their routine is revealed to one of them to be something important to him that he doesn’t want to give up. It’s a pretty irresistible movie and includes a few scenes with music from John Jacob Niles—a lute player and folk legend—that are really haunting. Definitely worth coming out for. Do you think an appreciation of short films is important? If so, why? I do think it's important to stop and consider short films. As I was saying before, I think they're often overlooked because there's no real financial structure for them to succeed—it's really hard to make money by making a short film. There’s a more democratic or proletarian attitude with shorts—anyone can make one—and I think that’s part of the appeal, and why audiences should consider prioritizing them when they're at a film festival or even just messing around on the internet looking for something interesting to watch. They're often films that were made for the sake of making them, and they're often made by young or new filmmakers. If you're looking to see developing voices or just works relatively free from commercial constraints, you should consider diving into the world of short films. How do you recommend interested festival goers keep up with short films outside the festival? There are plenty of avenues to see short films theatrically in Chicago. The Chicago Underground Film Festival always has an incredible lineup, as does CIMMfest, and Midwest Independent Film Festival. The Chicago FIlm Society does great work and often includes short films in their lineup, and the Music Box Theatre has plenty of events that feature short films as well. The Art Institute is also a great way to engage with short works, if in a different, non-theatrical setting. The Video Data Bank, in concert with the Art Institute, often puts on screenings of short works. There’s plenty of opportunities to see them here outside of CIFF. You just have to know where to look. Political strife, family drama, bad one-night stands, protest rock, the dark Web, and the Holocaust: all in 30 minutes or less.